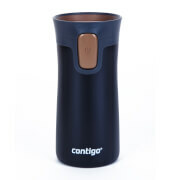 Contigo’s Transit Travel Mug features an innovative CLEANGUARD® lid cover that rotates to keep the drinking reservoir clean. With AUTOSEAL® technology, the Transit guarantees a 100% leak and spill-proof drinking experience. With a flow control lid design the seal closes automatically between sips: simply press gently to drink and release to seal. 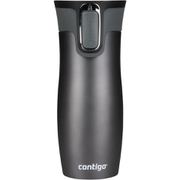 Constructed with vacuum insulated, double walled stainless steel, drinks stay warm for 5 hours and cool for up to 12 hours. The durable, scratch-proof Transit offers a generous 470ml capacity and is ideal for carrying in a backpack. 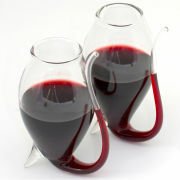 The lid is dishwasher safe and the body is suitable for hand washing.